Not terribly productive, but at least some things have gotten painted in recent weeks. 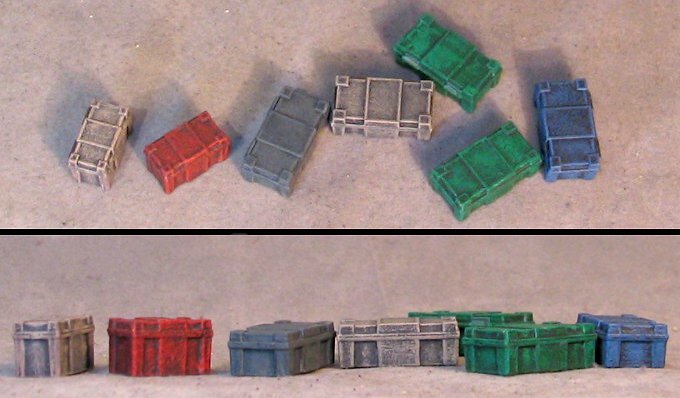 First up we have some scatter terrain or objective markers in the form of the ammo crates that came with the Dreamforge Eisenkern Storm Troopers set. These were quick and easy and I went with different colors so they could be more versatile as objectives. I had originally thought about making 2 bases with 3 or 4 on eachThe Governor a, but they seemed more useful as single pieces. 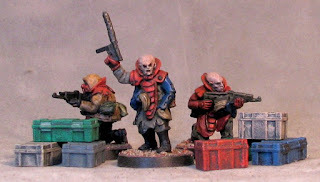 This next objective is from the recent Data Targets Kickstarter. 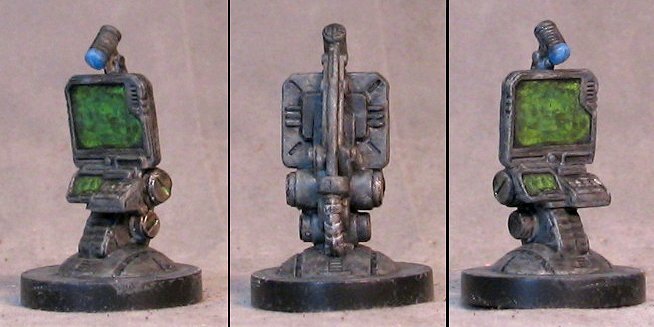 These are 3D printed objectives specifically for Infinity, but they're also generic enough for anything. This one is a beacon. 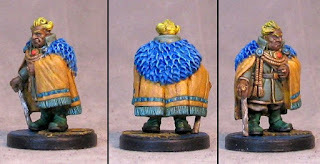 The detail wasn't great and there are some visible striations, but on the tabletop this should not be too noticeable. 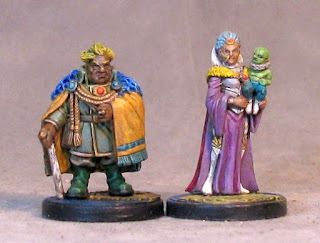 I hope to get a few more of the pieces from this Kickstarter painted soon. 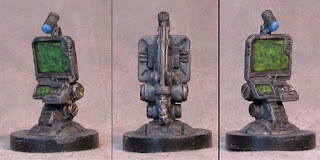 And another objective piece, this time one of the computer terminals from the Sedition Wars terrain pack. 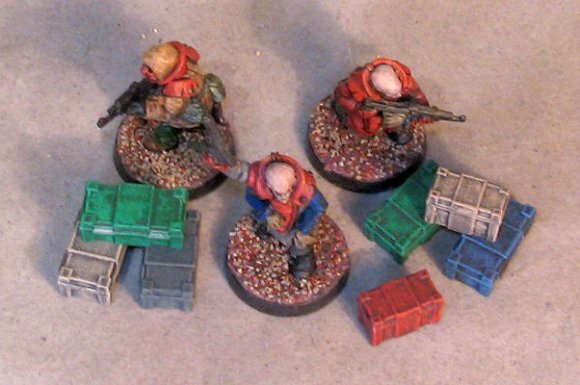 I have started cleaning up various pieces from that set to help add to my techy scatter terrain collection, so there should be some more random Sedition Wars stuff soon. 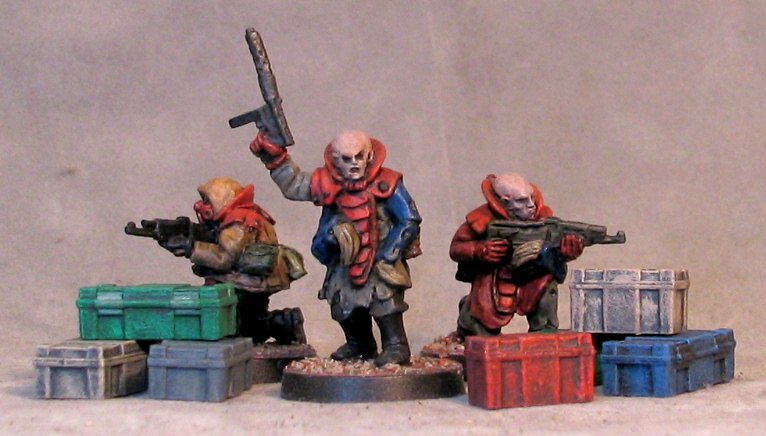 Finally, a figure from the first Colony 87 Kickstarter (I think there's only 1 left to paint from that first KS). 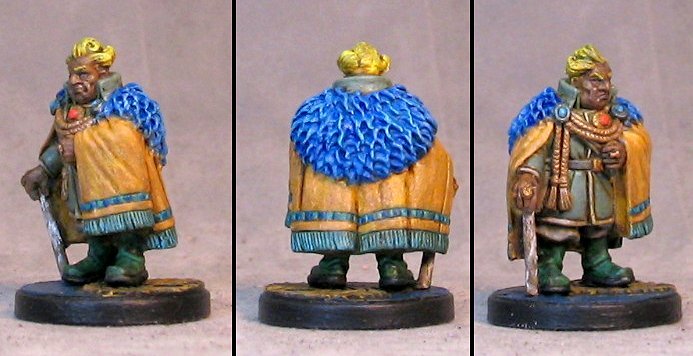 This time it's the fancy Lord-Governor figure- Governor Tashkent. I had him partially painted for months and just hit a roadblock. Inspiration finally returned and I think he turned out pretty nice. Below we have Governor and Madame Tashkent, together with paint and matching Sedition Wars plastic scenic bases. Time to oppress the populace.